Eating dark chocolate could be the key to preventing a blood shortage this Easter. That’s the message from the Australian Red Cross Blood Service, which urgently needs an extra 200 Penrith locals to give blood over the ANZAC and Easter holiday period. 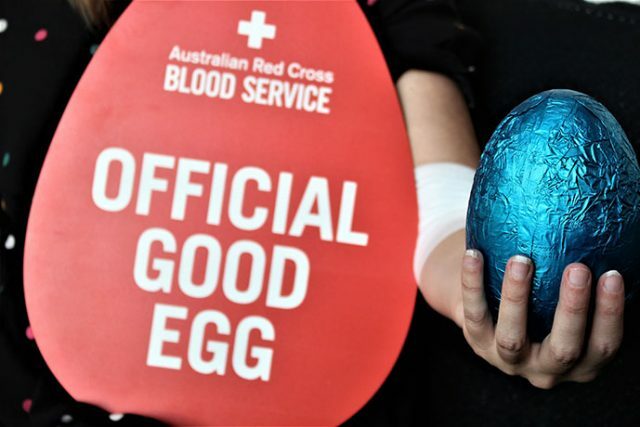 Blood service spokesman Ronny Maroun said dark chocolate contained more iron than milk chocolate and even red meat, making it the perfect Easter treat for potential donors. “It’s important as a blood donor to eat iron-rich foods, especially after donating,” he said. The Penrith donor centre still needs 200 extra donors between Thursday, April 18 and Thursday, April 25 to bolster supplies for cancer and road trauma patients this Easter. “The need for blood never takes a break yet we know that donor numbers are traditionally low at around holiday period such as Easter,” Mr Maroun said. “Some components of blood have a shelf life of only five days, so it’s important that blood is donated over and immediately after the Easter break. “Back-to-back public holidays mean more donors are likely away on holidays, three public holidays in quick succession is a challenge for short-lived blood stocks. Dark chocolate contains around three times more iron than red meat, and is recommended with a glass of orange juice to absorb the iron. To donate, call 13 14 95 or visit www.donateblood.com.au.